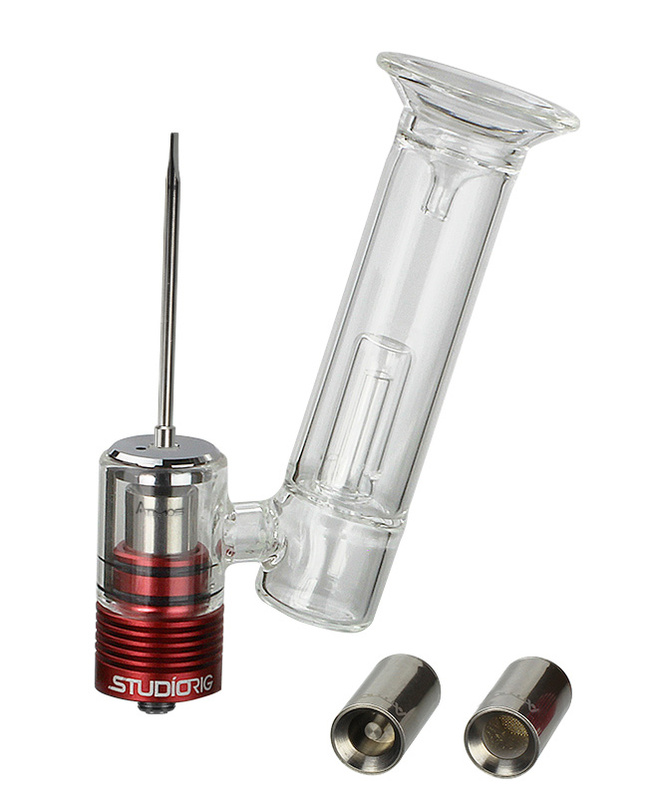 The Studio Rig Attachment is a unique 510-threaded attachment compatible with most box mods that offers one of the best on the go experiences imaginable. 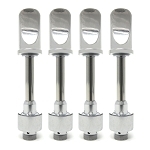 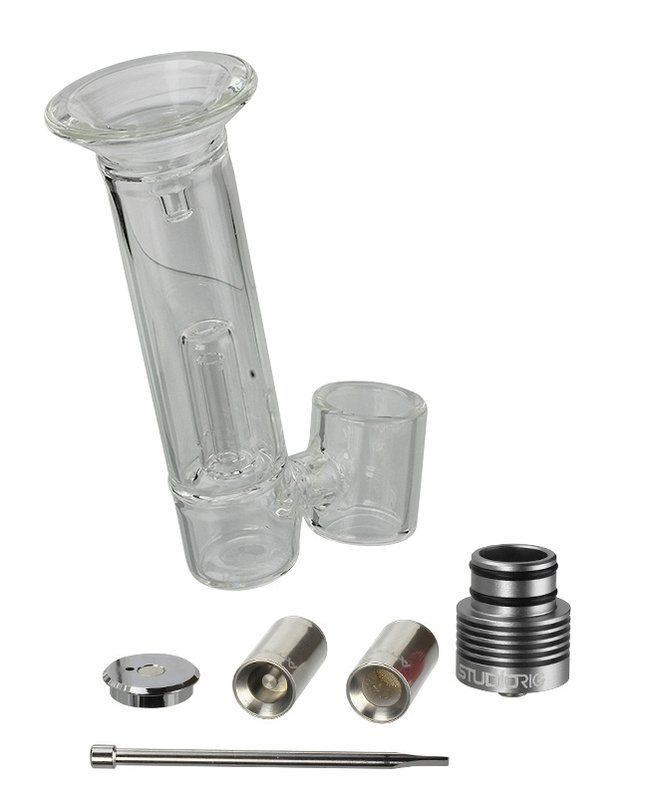 Two chambers come included with this device, one high grade titanium chamber for essential oils and one pure ceramic heating chamber for dry material. 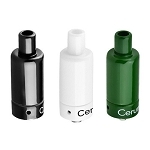 Each connect to the 25mm chamber base to thread onto a portable box mod, allowing you to either material with just the push of a button. A glass water tool attachment filters any clouds that passes through the percolator, creating an extremely clean and smooth clouds that is virtually free of impurities. 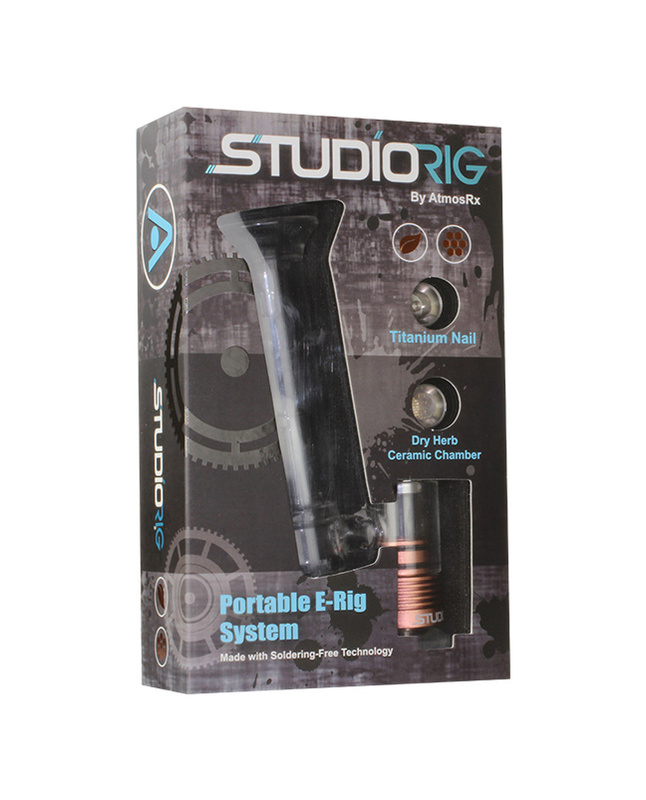 The Studio Rig Attachment also features a magnetic packing tool that stays securely in place on the top of the rig so it is always in arms reach when you may need it most. Please note the box mod pictured above does not come included with this kit. 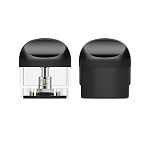 You will need to purchase a compatible 510 threaded box mod or battery if you do not already own one. Q: Does this work on normal vape box or do i need a special box ? 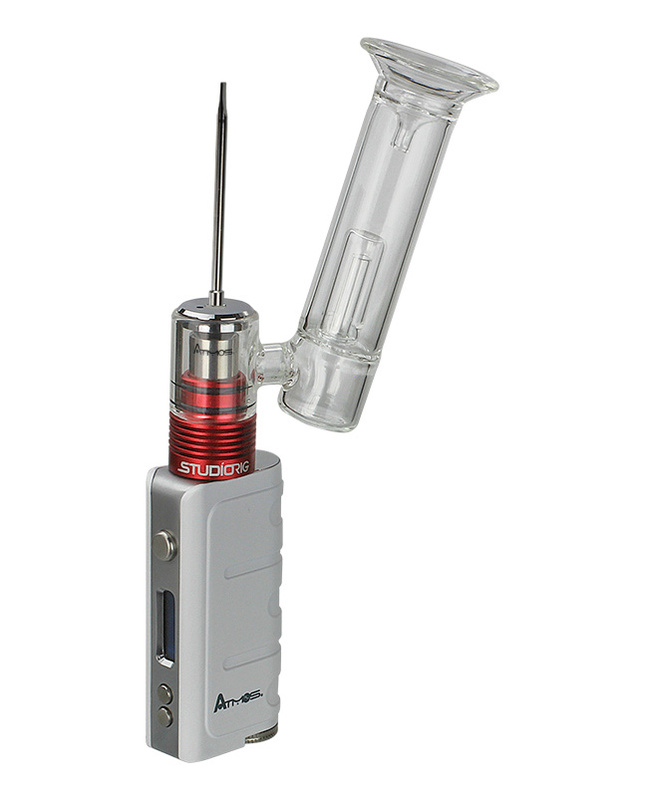 A: The Studio Rig will function on any standard regulated box mod that meets the specifications listed here. It does not need to be a certain device or Atmos brand, but should never be used on unregulated devices or "mech" mods.